Dr. Tim’s dog food may be relatively unknown to you, but that does not mean that the food has to be bad. Dr. Tim’s dog food is made by Dr. Tim’s Pet Food Company, which is located in Michigan. The company was originally founded in 2004 and has seen spectacular growth since then. You might ask, “Who’s Dr. Tim?” He is the one who started the company and is a veterinarian as well as an accomplished dog musher. He originally made the food from his backyard and has since expanded into a larger company. He aims to include the best ingredients for dogs, and as an experienced dog musher, he understands the needs of both working and other dogs. Dr. Tim knows what he is talking about when it comes to dog nutrition. Since he first started his line of food to make better food for his dogs, you can see the quality and love that goes into this line of dog food that is truly good for your dogs. It’s not just me who thinks this. You’ll see in many Dr Tim’s dog food reviews that people (and dogs!) everywhere love Dr. Tim. Because Dr. Tim’s dog food brand was founded on the morals and principles that veterinary Dr. Tim himself cared about, their company does a lot to not only sell good food but to educate dog owners about good nutrition. They are available for Q&A by email, phone, and on their website. I love it when companies take the time to explain why and how they choose their ingredients, and Dr. Tim’s does a great job of this. There is no doubt that the ingredients that go into Dr. Tim’s line of food are of incredibly high-quality. After all, Dr. Tim first created his food as an attempt to replicate a wild, high-protein diet for his dogs in a more friendly, kibble form. Every ingredient used in the food is chosen with care and explained on the website. They’ve even responded to customer feedback and removed a controversial form of Vitamin K from their food. I love that Dr. Tim’s mentions that they are not market driven, but they are activity driven. This means they formulate their foods not only to make a profit but to match common activity levels that dog owners need to feed their dogs for. They have their different lines for casual, active, and high-performance dogs to make it possible to find food no matter what kind of dog you are raising. Dr Tim’s dog food reviews often mention that the hardest thing about feeding it is that you are not able to just walk into their local dog store and find the food. Getting it online is fast and relatively easy, however, so don’t let this deter you much. While the different lines offered by Dr. Tim’s are fantastic, it can be difficult for some owners to know which of the foods is best for their dog, particularly if they’re not familiar with dog nutrition. What kind of dog qualifies as active, and what kind qualifies as casual? Worst case scenario, email Dr. Tim’s, and they’ll help you out! Let’s take a closer look at one of the most popular foods from Dr. Tim’s, the Kinesis All Life Stages Formula. The very first thing I want to mention about foods from Dr. Tim’s is something I adore, and that is the fact that they include an ash percentage in their guaranteed analysis. Ash lets you know how much bone goes into a protein meal so you can get a better idea of how much meat versus bone your dog is getting. Dr. Tim’s is very transparent about this percentage. The first ingredient in nearly all of Dr. Tim’s foods is a protein meal. In this case, it’s chicken meal. Dr. Tim’s makes the informed decision to use meal instead of real chicken because it’s got a much better concentration of protein. While there are some cons to this, I consider it a pro here because it gives us a more clear, concentrated first source of protein. This food has some other protein meals, including catfish meal, chicken liver meal, and herring meal. The protein in the food is nearly all animal based, which is great. The fat is also named chicken fat. The food also has pro and prebiotics in it. Other additional ingredients I like seeing include flax seed meal, chelated minerals, and chicory root. As far as controversial or negative ingredients go, there aren’t many. The food does have grain-based carbohydrates, but they are not corn, soy, or wheat, which is great. There are also some grain-free formulas in the line, so the option is available to dog owners. 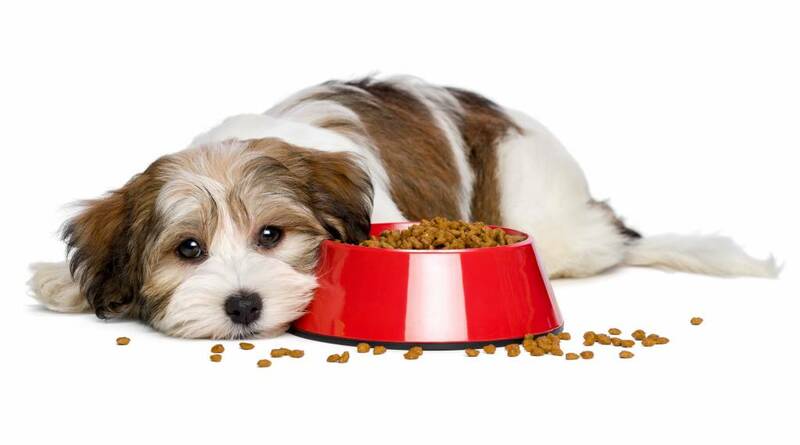 In the history of recorded recalls available, there has never been a Dr Tim’s dog food recall. This is great to hear because it shows the quality of both the food and the manufacturing technique that goes into making it. If you’re looking for a quality dog food, Dr Tim’s dog food fits the bill. The only thing left to decide if you want Dr Tim's dog food is where to buy it!